Plant-macrofossil analysis is being increasingly used in Quaternary science, particularly palaeoecology and vegetation history. Although the techniques of macrofossil analysis are well-tried and relatively simple, the resulting data consisting of qualitative binary presences and absences, ordinal classes, and quantitative counts are not simple from the viewpoint of numerical data-analysis. This essay reviews the nature of macrofossil data and discusses the problem of zero and non-zero values. Problems in the presentation of macrofossil data are outlined and possible solutions are discussed. The handling of such data is discussed in terms of data summarisation, data analysis, and data interpretation. Newly developed numerical methods that take account of the mixed nature and the stratigraphical ordering of macrofossil data are outlined, such as (distance-based) multivariate regression trees, canonical analysis of principal coordinates, principal curves, cascade multivariate regression trees, and RLQ analysis. These and other techniques outlined have the potential to help exploit the full potential of macrofossil stratigraphical data in Quaternary palaeoecology. 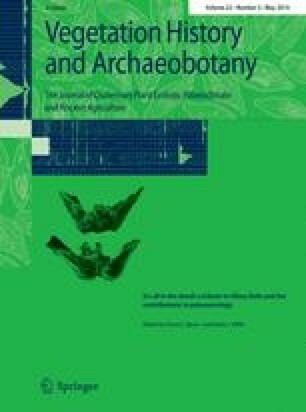 I dedicate this essay to Hilary Birks in recognition of her many wide-ranging palaeoecological studies in Europe, North America, and North Africa; of her fundamental contributions to our understanding of late-glacial biota and environments in north-west Europe; and of her development of plant-macrofossil analysis into a powerful and challenging tool in Quaternary palaeoecology. I am very grateful to Hilary Birks, Brigitta Ammann, Wenche Eide, Steve Jackson, Carl Sayer, Willy Tinner, the late Bill Watts, Lucia Wick, and Herb Wright for many valuable discussions about macrofossils and to Hans Henrik Bruun, Tom Davidson, Vivian Felde, Pierre Legendre, Gavin Simpson, Jens-Christian Svenning, and Cajo ter Braak for valuable discussions about problems in the quantitative analysis of macrofossil data. I also appreciate the helpful comments on this essay from Thomas Giesecke and an anonymous reviewer. I am indebted to Cathy Jenks for her invaluable editorial help. This is a contribution to the NorFA Stay or Go Network coordinated by Bente Graae and is publication A440 from the Bjerknes Centre for Climate Research.